Breon, Robin. "The Crest Theatre". The Canadian Encyclopedia, 16 December 2013, Historica Canada. https://www.thecanadianencyclopedia.ca/en/article/the-crest-theatre. Accessed 21 April 2019. The Crest Theatre was founded in 1953 by Donald and Murray DAVIS with the support of their sister, Barbara CHILCOTT. As students, in the late 1940s, Donald and Murray had studied theatre under Robert Gill at the University of Toronto's Hart House Theatre. The Crest opened its first eleven-play season in January 1954, playing through June of that year. The opening of the Crest, less than 3 years after the Royal Commission on National Development in the Arts, Letters and Sciences (Massey-Lévesque Commission) tabled its report, signalled the beginning of an indigenous, commercial theatre in Toronto. Until then, audiences interested in professional theatre saw mainly touring productions from Britain or the USA. For 13 consecutive seasons, the Crest Theatre mounted an ambitious series of dramatic plays marked by informed dramaturgy that included classical, contemporary and original works. 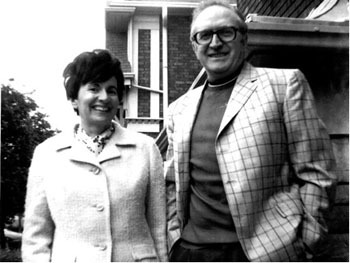 Donald and Murray, along with Barbara Chilcott, would often act in the plays as well as take on the responsibility of administrating the theatre. An entire generation of Canadian actors and directors were given opportunities for full-time professional work at the Crest early in their careers. Among these were Richard MONETTE, Jackie BURROUGHS, Frances HYLAND, Amelia Hall, Eric House, John Baylis, Martha HENRY, Marilyn Lightstone, Kate REID, Leo Ciceri, and Charmion King. A corps of artistic directors also included Robert Gill, Douglas Campbell, John Holden, Malcolm Black, Jean Roberts, Barry Morse, Mavor Moore, David GARDNER, Leon Major, John HIRSCH, Herbert WHITTAKER, Marigold Charlesworth, Allan LUND, Kurt Reis, George McCowan and Donald and Murray Davis. The Crest Theatre was also committed to providing opportunities for Canadian playwrights. To that end, at least one Canadian play was included in every season. These productions, many of them premieres, included works by Robertson DAVIES, John GRAY, Mary Jukes, Marcel Dubé, Ted ALLAN, and Bernard Slade. An enterprise that experimented with a mix of private and public funding, the Crest began as a limited-liability company and later re-organized itself to become a non-profit foundation run by a board of directors. This organizational model, which backs artistic independence with financial support from both public agencies and private subscribers, has been adopted by many arts organizations today. The Crest closed its doors on 30 April 1966 after mounting 140 productions. It shares with other contemporary arts organizations a history marked by controversy over funding, artistic control and the quality of its production. The Crest Theatre's enduring achievement was that it presaged an important beginning for a commercially viable theatre community in the city of Toronto. Ann Saddlemyer and Richard Plant, eds, Later Stages: Essays on Ontario Theatre from the First World War to the 1970s (1997); Paul Illidge, Glass Cage: The Crest Theatre Story (2007).